St Olav's Church is easy to find in Yrjönkatu in central Jyväskylä. 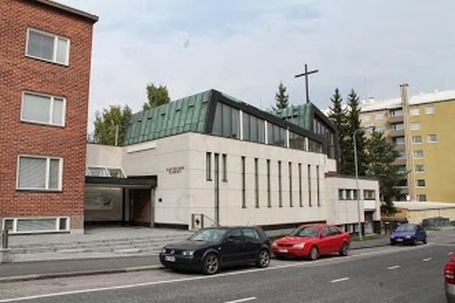 The parish is part of the Diocese of Helsinki, which covers all of Finland. The Finland's Catholic cathedral is St Henry's Cathedral in Helsinki. The map shows the size of St Olav's Parish. 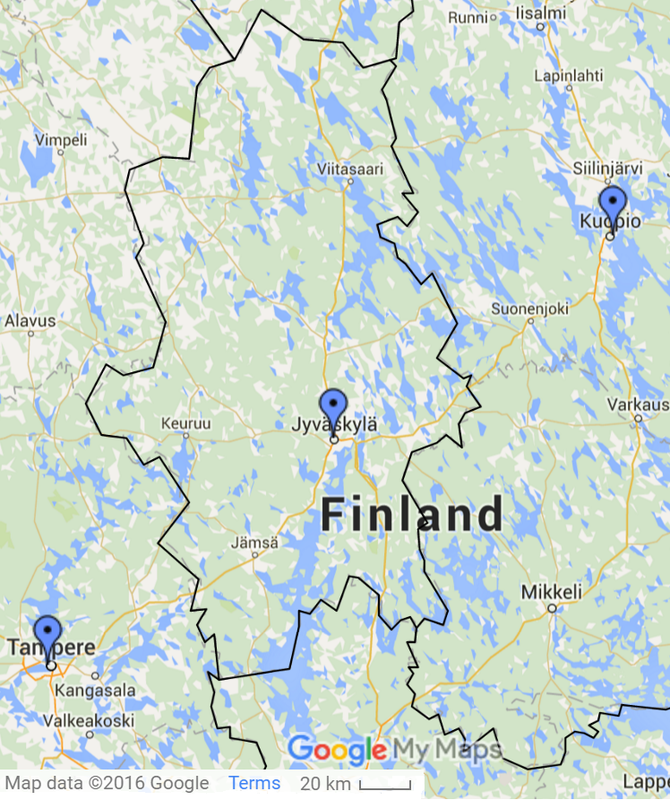 The blue pins mark Catholic churches: In Tampere there is Holy Cross Parish and in Kuopio you will find St Joseph's Parish.